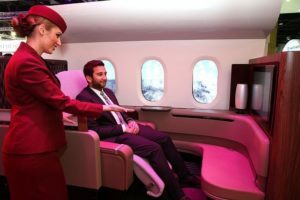 We spoke with Kevin Herft, Manager Cabin Services Training, about the value of emotional intelligence for creating the world-class customer experience that is the hallmark of Qatar Airways. Why is there a need for EQ in Qatar Airways? Qatar Airways is undergoing a period of exponential growth and development. In April 2016, the government reported the population of Qatar is at its highest ever; at over 2.5 million residents. In an extremely dynamic and multi-cultural environment, such as Qatar, emotional intelligence is an important capability that should be developed by individuals as well as organizations as a whole. 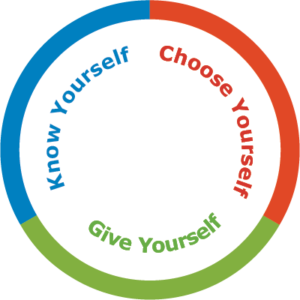 Many research studies have proven that there is a high correlation between emotional intelligence, personal well-being and success as well as organisational performance. As such, it’s important for Qatar Airways to tap into the benefits that EQ can provide for their people, the customer and overall performance. When QA became a Preferred Partner, what was your vision for the Customer Experience Department, and how did you see emotional intelligence adding value? I believe that for any new project to be successful you need the support from the organization. We have managed to make significant progress towards building an emotionally intelligent organization through the support and visionary leadership of our Group Chief Executive, His Excellency Mr. Akbar al Baker. From the onset, he has always been keen to explore new ideas that will improve operational efficiency and delighting our customers. Furthermore, our Senior Vice President of Customer Experience, Rossen Dimitrov echoed the same as he embarked with his plan to take our service delivery levels to even greater heights. In light of this, it was not difficult to implement an EQ program that has allowed us to equip staff with the knowledge and skill to create emotional connections with passengers at various customer touchpoints both on-board and on the ground. My journey with EQ started in 2011 when I was introduced to EQ by the Six Seconds Network. I attended a very insightful and inspiring workshop that helped me to discover the meaning to creating well-being and a more balanced and harmonious life. My vision since then has been to bring about positive change by providing EQ workshops starting with the customer experience team and eventually cascading this to other parts of the business. The value that this change has brought about can be summed up by the following phrase, ‘emotions drive people, people drive performance and performance drives productivity’. I believe that relationships are important as they create memories that will ultimately contribute to the experiences that are felt. EQ enables us to better understand what customers need, to work in unity and to be both head and heart smart. This is the essence for any service provider to heed, simply because emotions are contagious: when internal customers have meaningful experiences they will be inspired to cascade this to the external customers and this will contribute towards a more emotionally engaging experience for our customers. QA is now a global enterprise, with crews and passengers from all over the world. How is increasing globalization affecting the need for emotional intelligence? Globalization truly highlights the growing impact of the interconnectedness found in the world today. As a global enterprise, Qatar Airways continuously seeks ways to strengthen its service, both the material product and human element, which will help us to remain a leading airline. Emotional intelligence capability allows our multi-cultural crew to engage on a deeper, more purposeful level with our multi-cultural passengers that transcends any potential cultural barriers. It helps our crew to create ‘moments of magic’ with passengers. Passengers are often tired, stressed and jet lagged. Crew likewise. In the midst of this, how can emotional intelligence be used to form genuine, powerful moments of connection? What difference does that make? Emotional intelligence equips our cabin crew with an ability to better understand and manage themselves as well as their relationships with passengers on any given flight. Importantly, it develops the cabin crew member’s ability to empathize with a tired, stressed or jet lagged passenger, to recognize any harmful emotions of their own and provide them with strategies to move to a healthier state of heart and mind. The QA staff has offered extremely positive feedback about the EQ workshops your team is running. What’s the secret? Why is EQ resonating so strongly for front line employees to managers to senior leaders? There are number of reasons for this. I believe the most important is that we have an EQ team that not only delivers the program in an inspiring and effective manner but more importantly, the team lives these values and focuses on creating memorable learning experiences that are insightful. 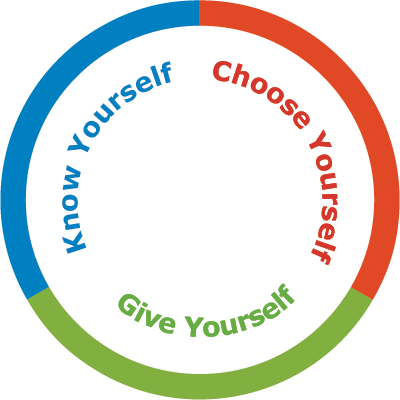 Secondly, the Six Seconds KCG model is very practical, easy to understand and to apply. Thirdly, the participants recognize that building their emotional intelligence capability can develop them personally as well as on a professional level. Also, it’s a new and exciting concept for many of the participants which have contributed to the success of the EQ workshops. The participants have also recognized that EQ can contribute significantly to enhancing our world renowned service culture and this has been the reason to why EQ has resonated strongly with all our employees. Are there other ways that EQ training has added value to your operation? EQ has enabled us to change the way we view our vision for the training department and the organization. The focal point of the business is now not just customer service but also the customer experiences and emotional connections that are created. People make choices based on emotions. As such, it is important that our staff feel good and that they deliver that positive energy to our customers. The positive reputation of the EQ workshops has spread to other business units and departments. As a result, I have received requests from the IT, Finance and Engineering teams to attend the EQ classes. What do you love best about this model on a personal level?